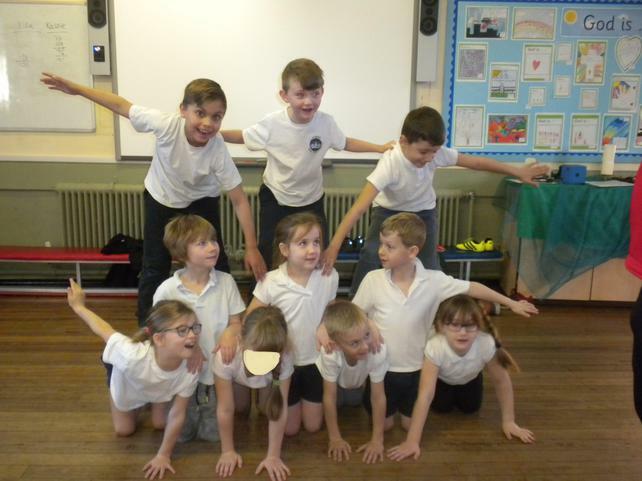 Class 3 gave a wonderful performance in their ukulele concert with Mr Waller. 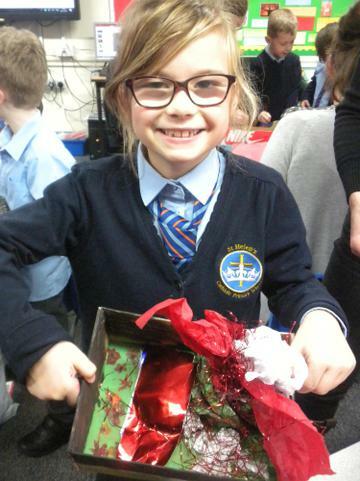 They also sung their hearts out at the Christmas concert, well done class 3. 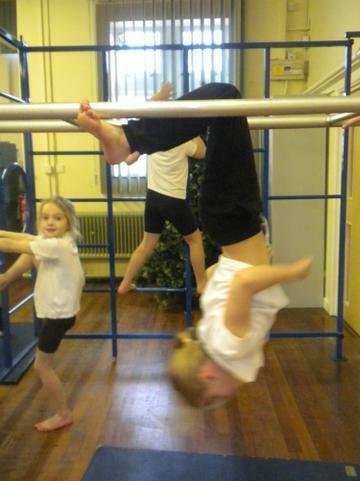 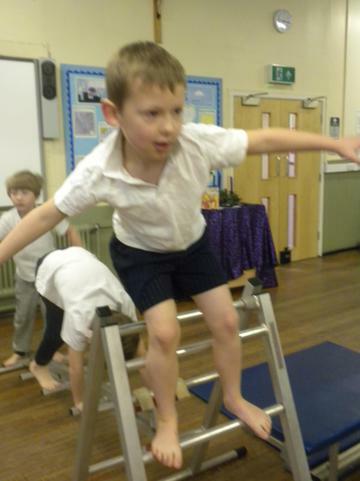 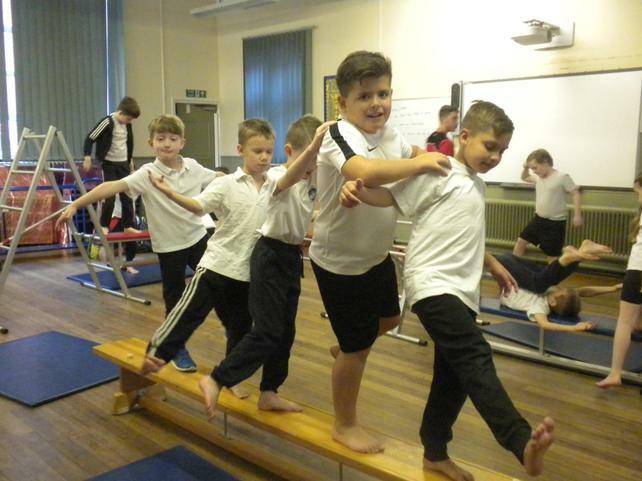 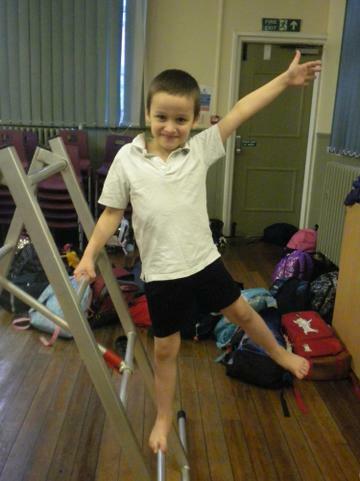 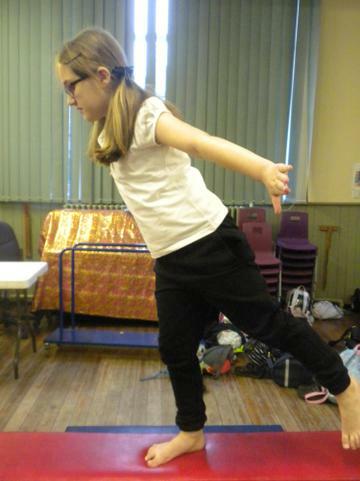 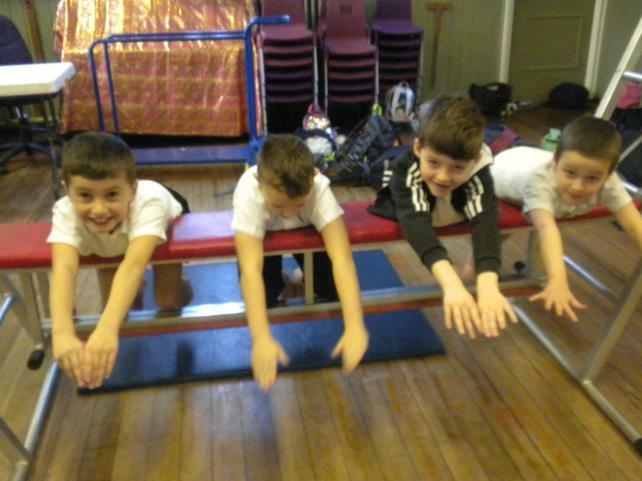 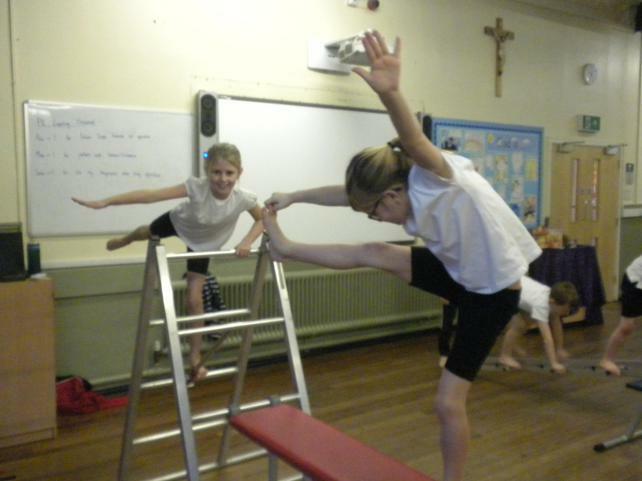 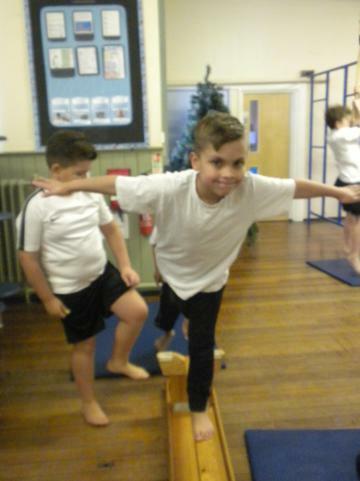 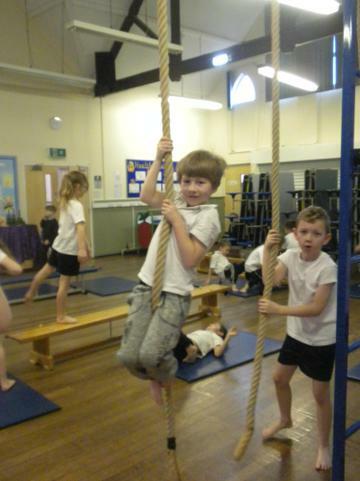 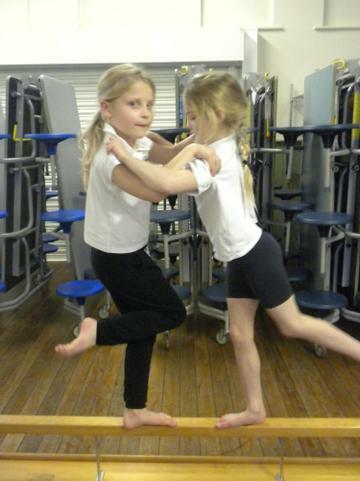 We have been doing balances on equipment in PE this week. 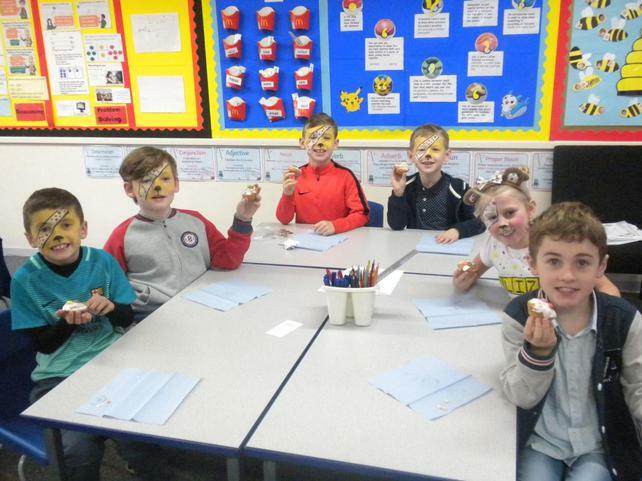 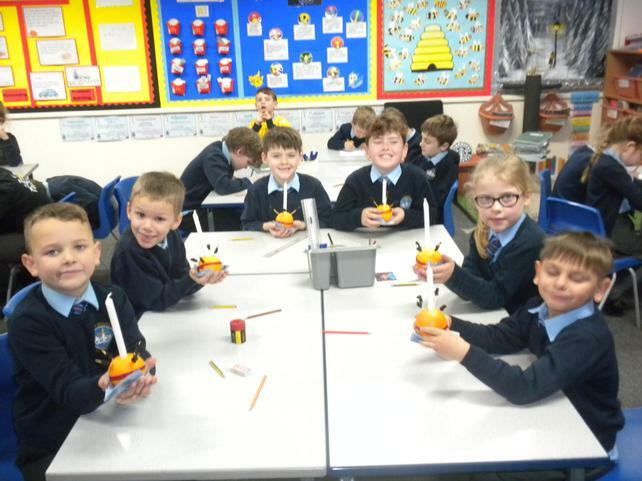 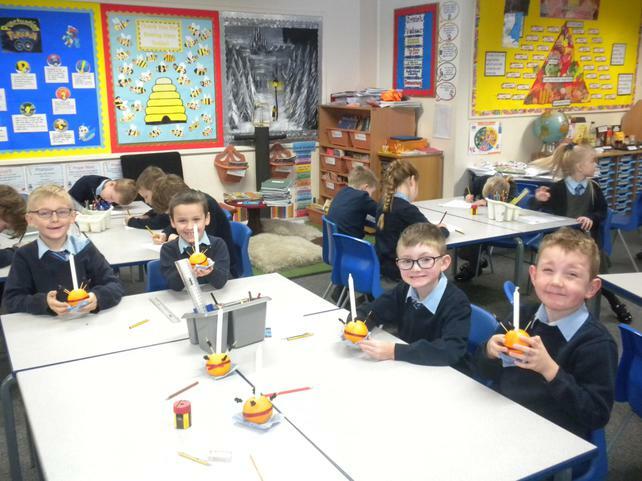 This week the children made Christingle oranges for Advent. 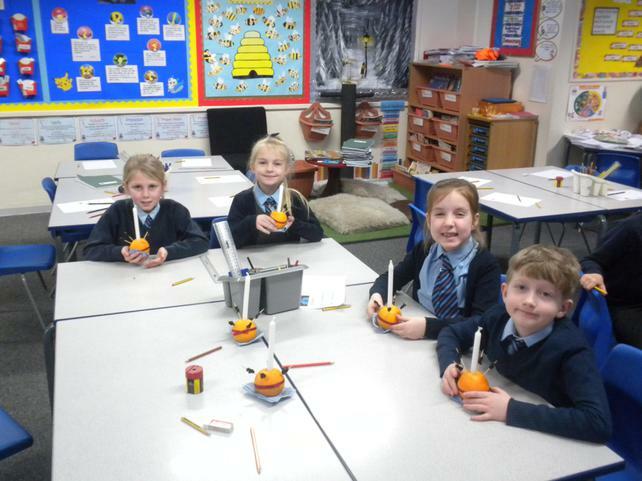 We learnt about the different parts of the Christingle orange, each item being there to remind us of something. 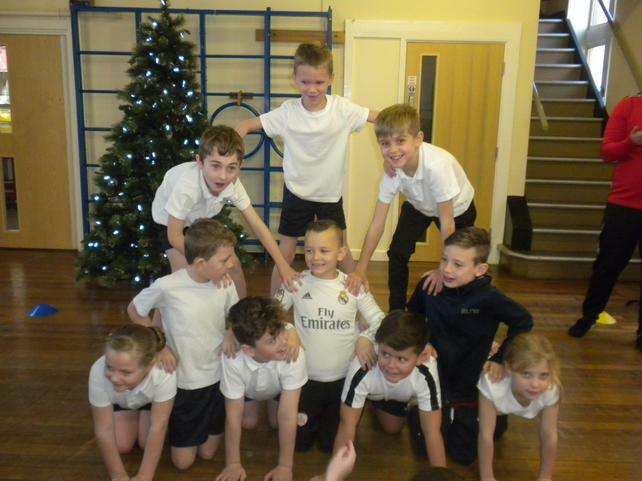 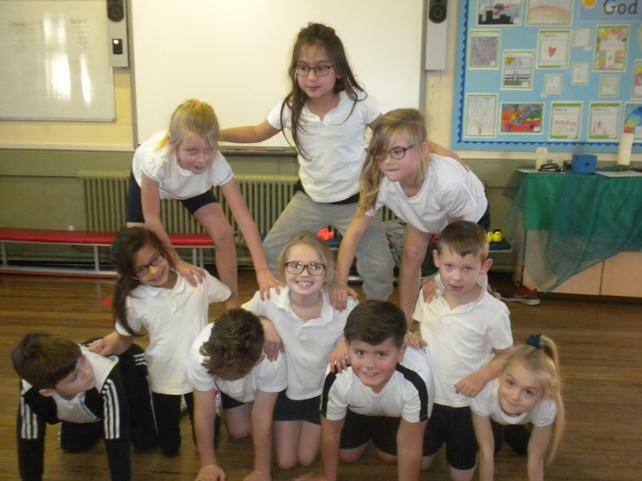 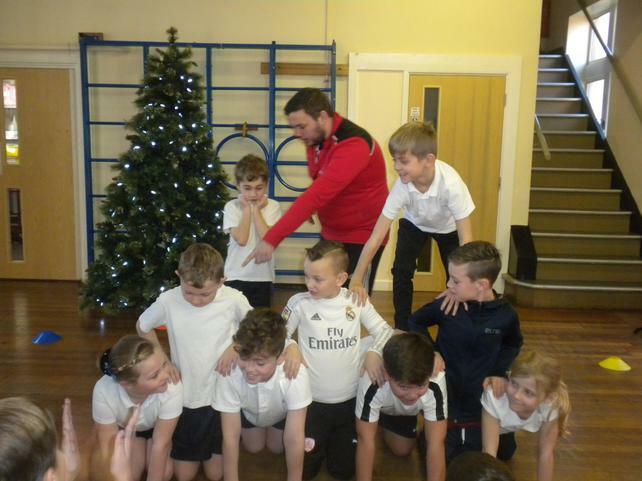 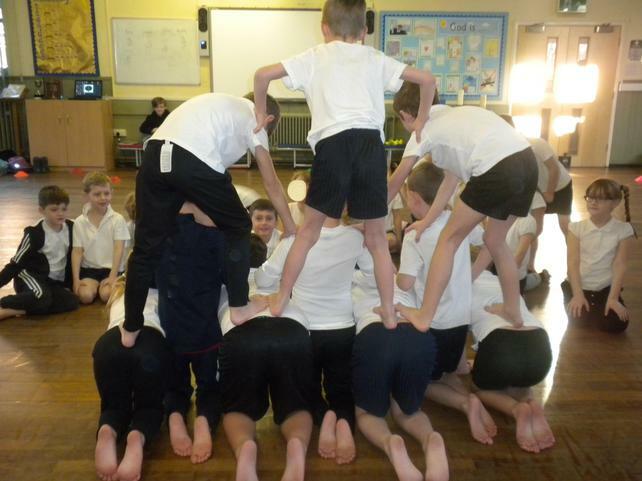 We have been making human pyramids in PE and learning all about balancing this week. 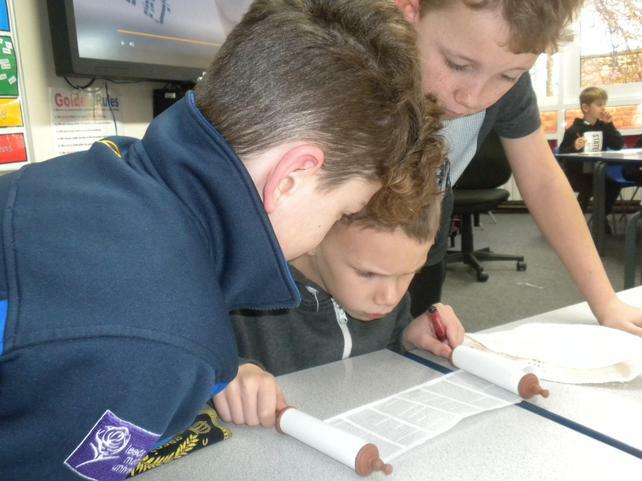 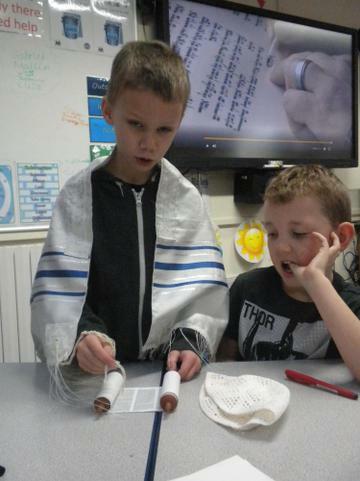 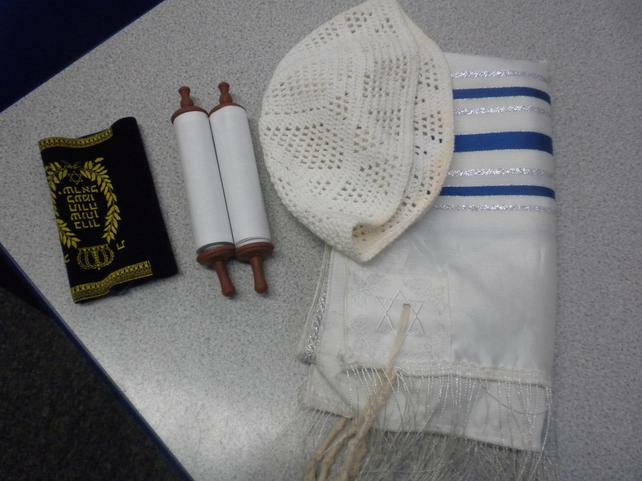 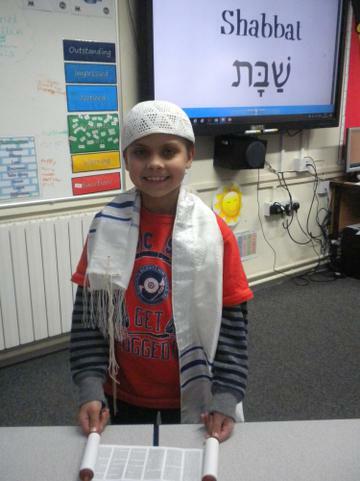 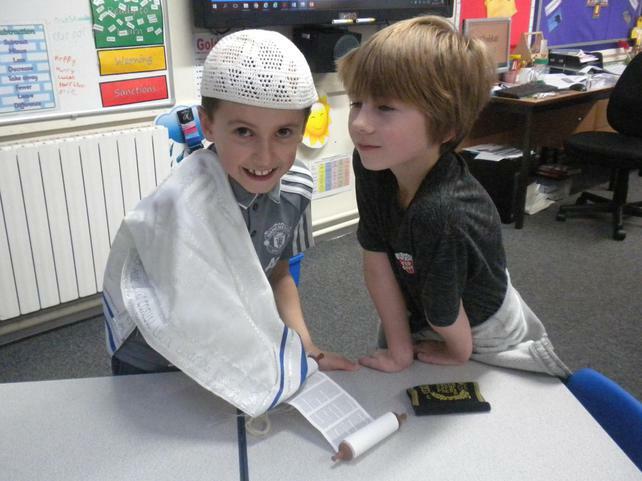 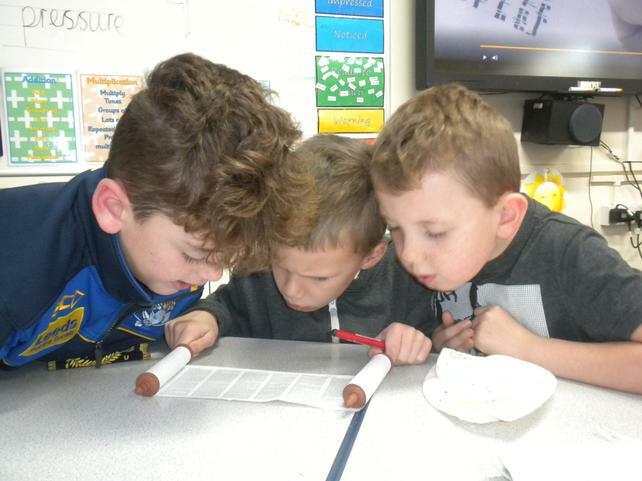 In RE we have been learning about Judaism and how important the Torah is. 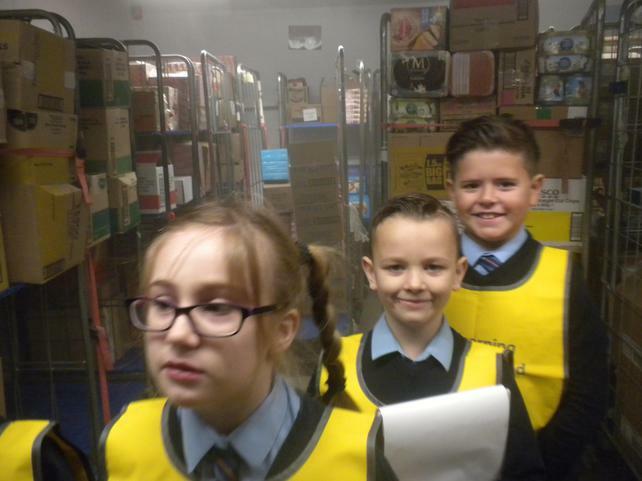 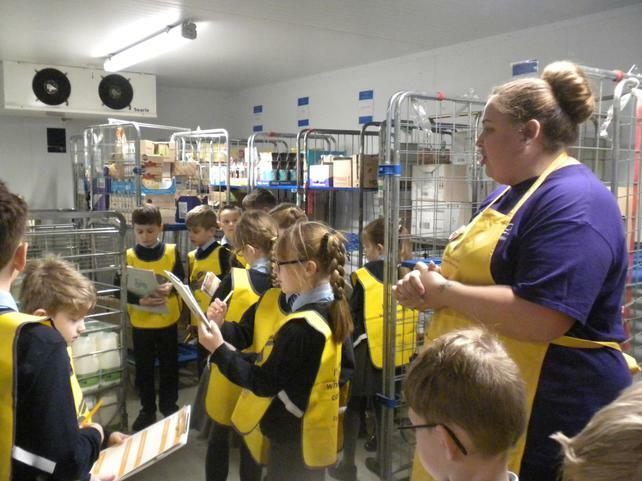 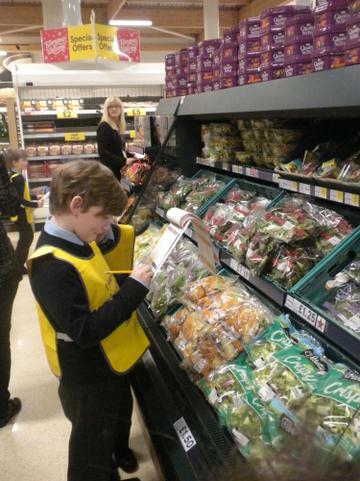 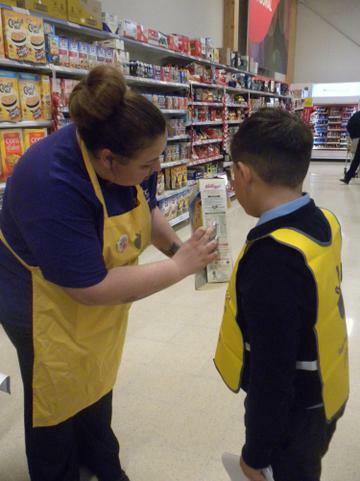 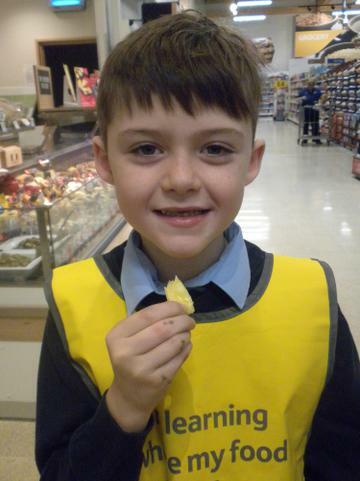 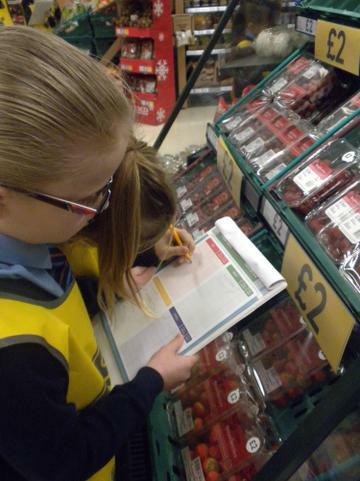 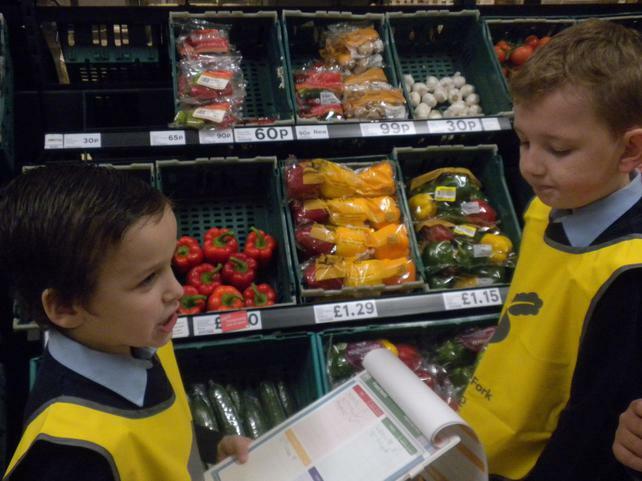 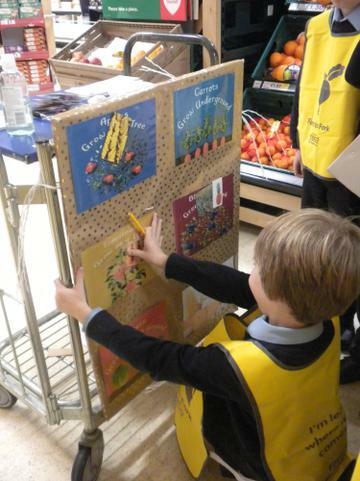 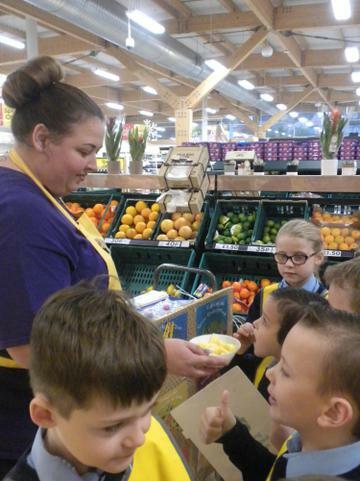 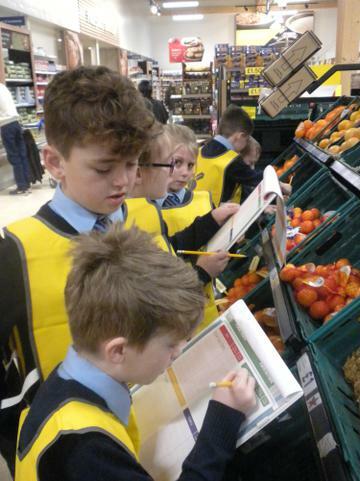 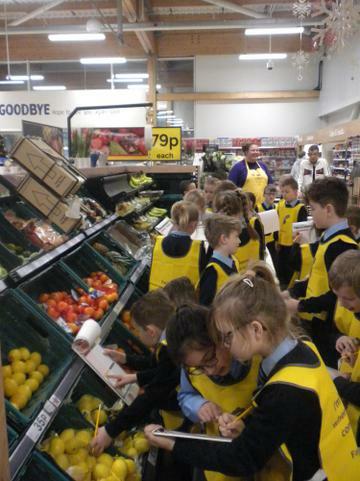 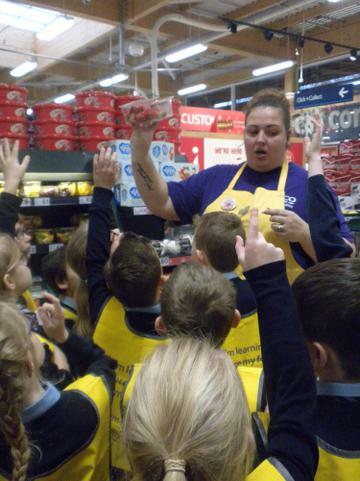 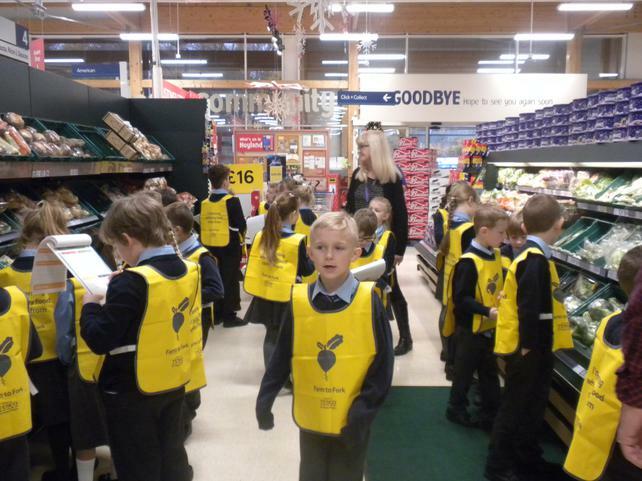 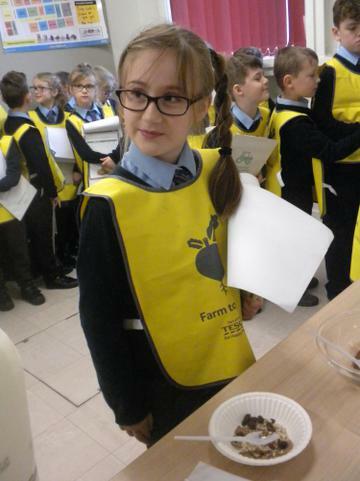 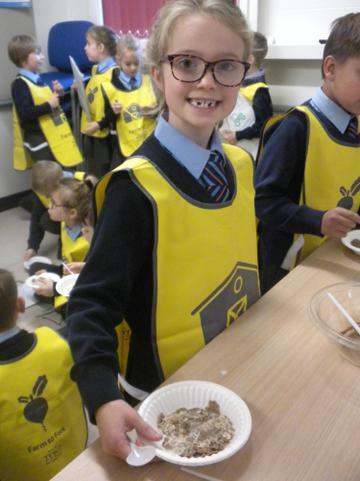 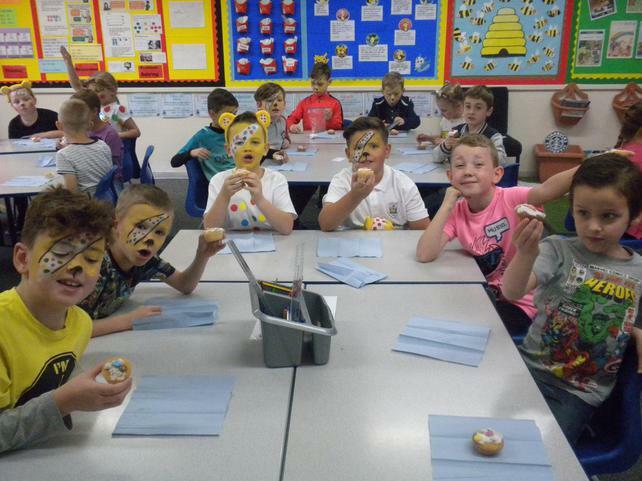 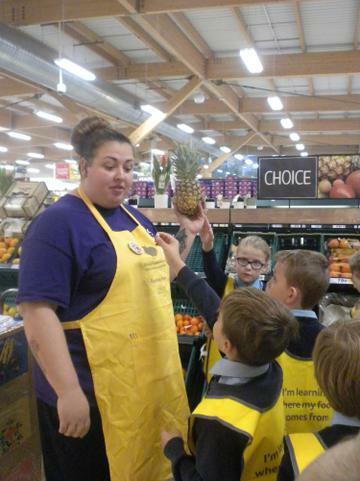 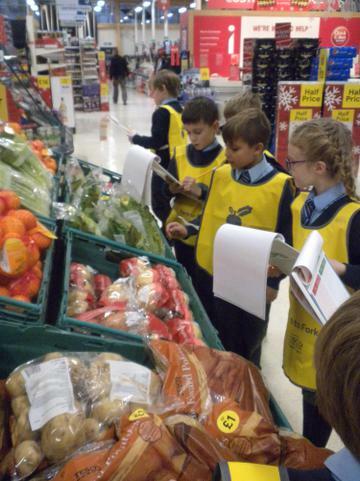 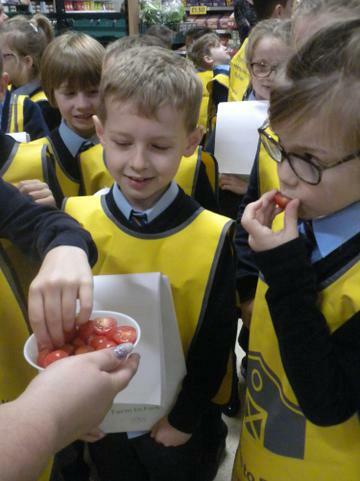 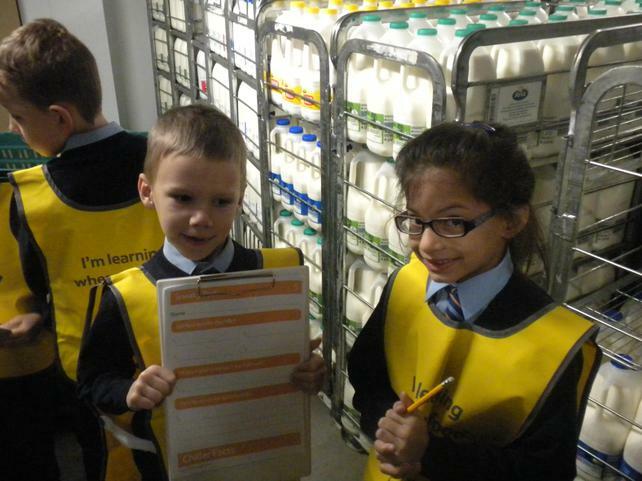 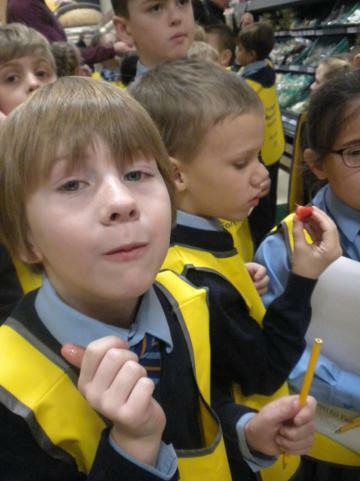 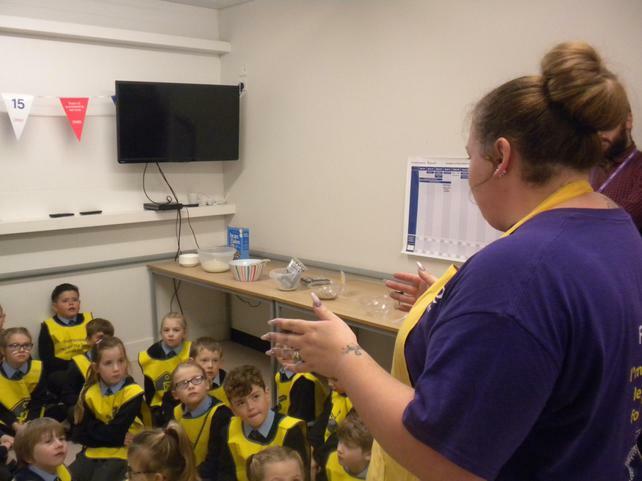 Well done Class 3 for being so wonderfully well behaved this week when we visited Tesco for our Farm to Fork trip. 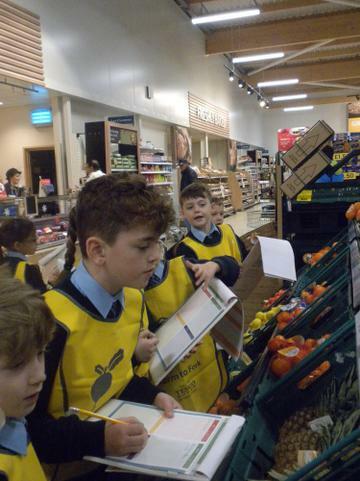 We learnt so much about where our food grows and about the different varieties. 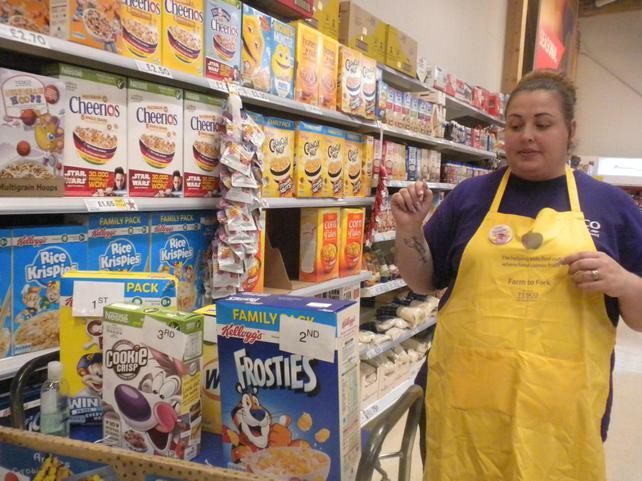 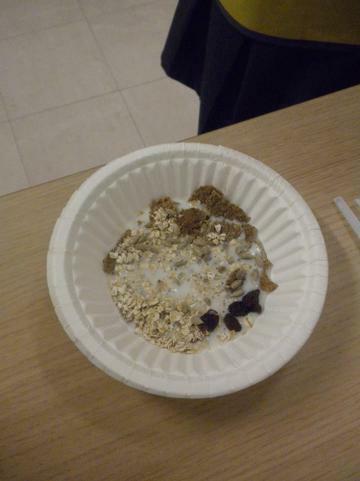 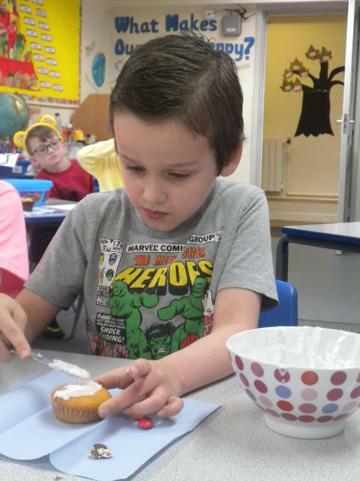 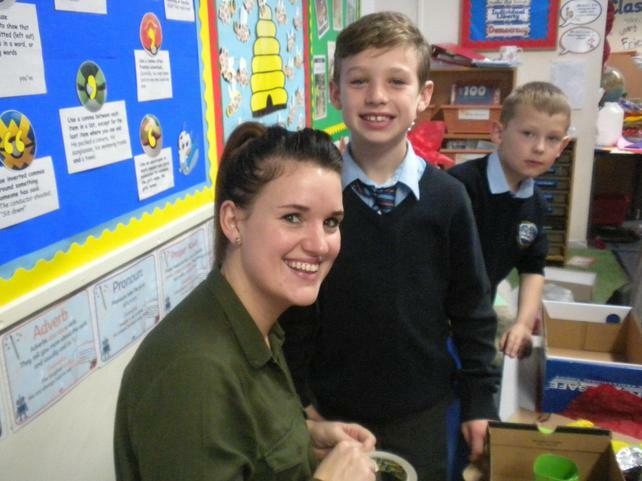 We also got to try lots of fruit and vegetables and we made our own healthy cereal. 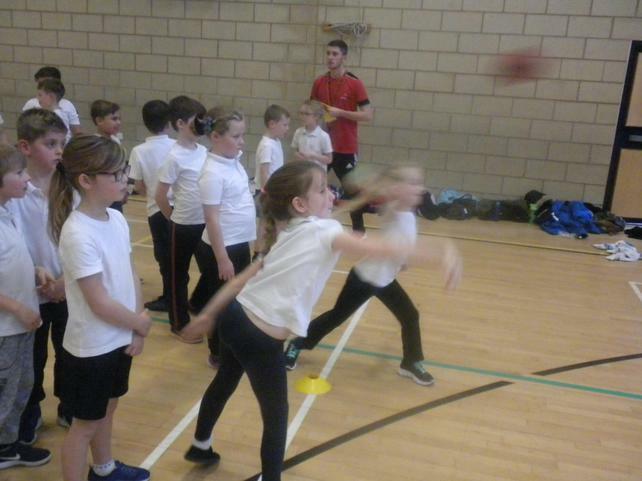 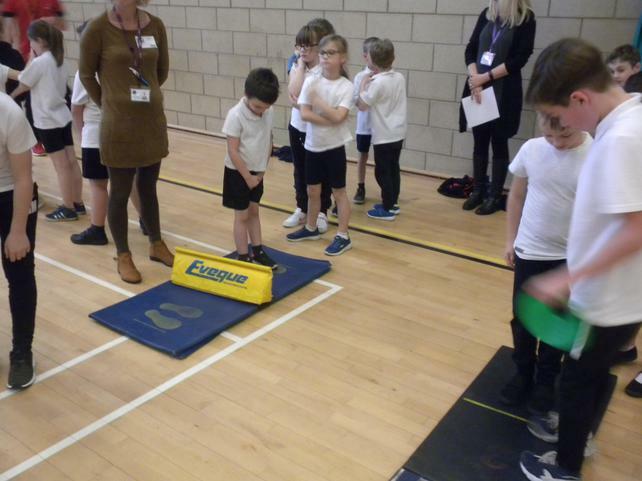 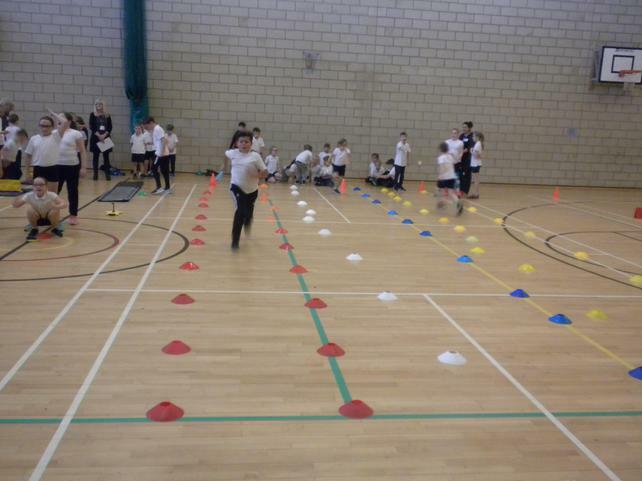 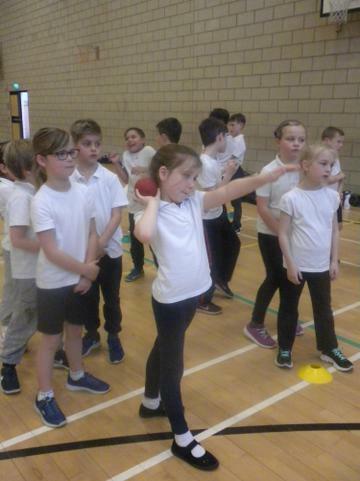 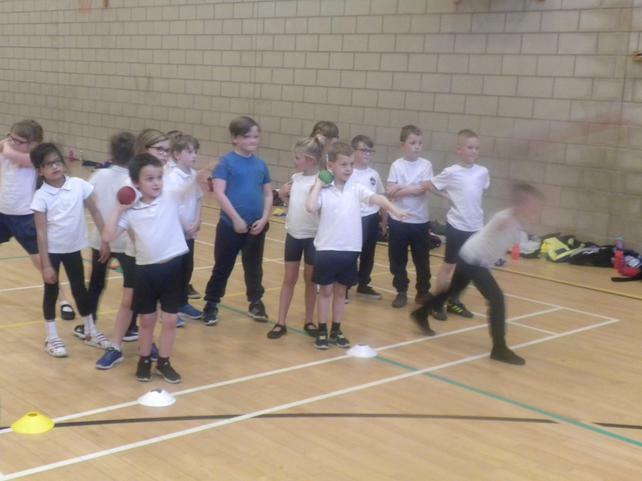 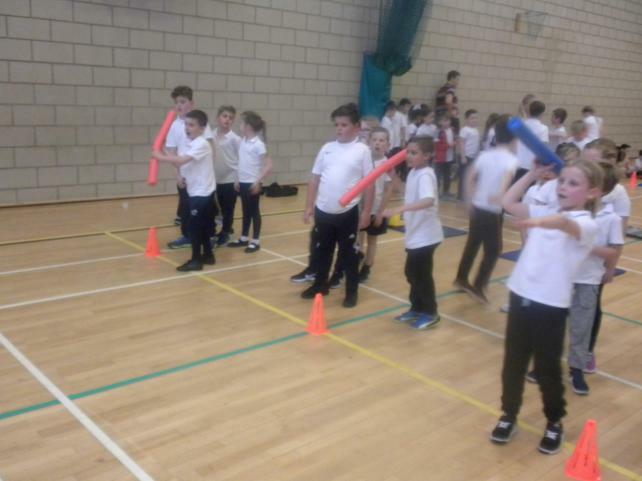 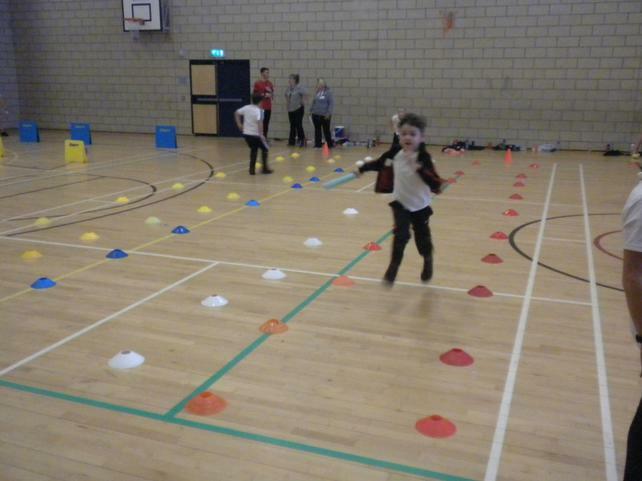 This week we visited St Pius for a multi-skills event which was led by class 5, we had a tiring but fantastic afternoon! 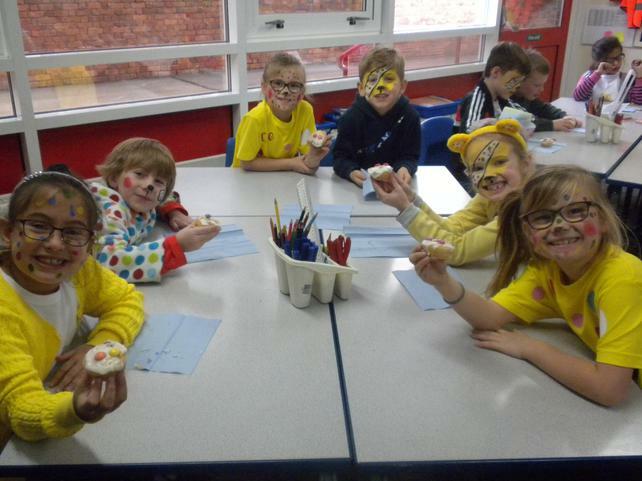 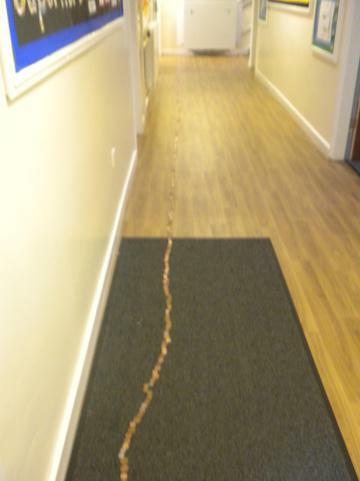 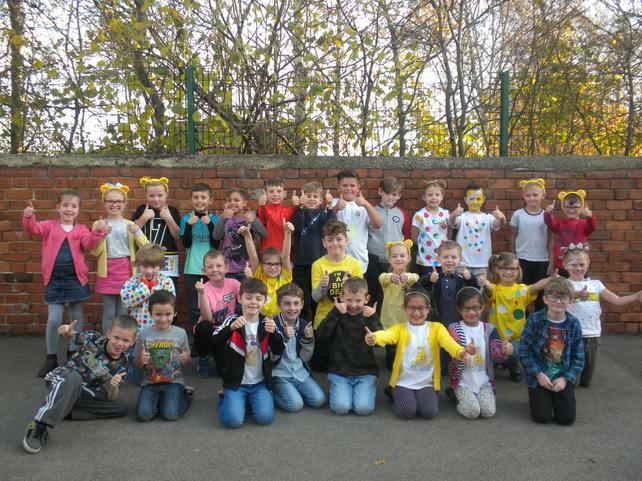 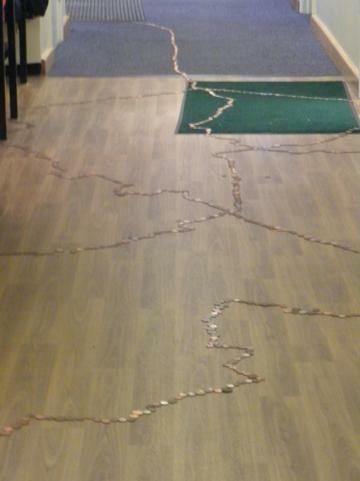 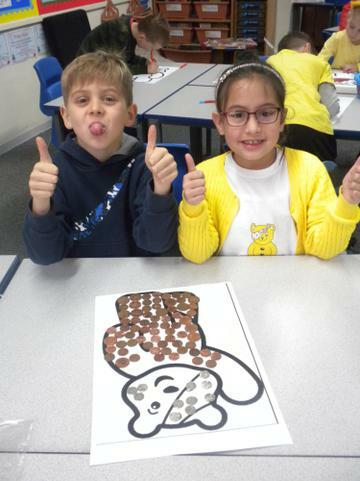 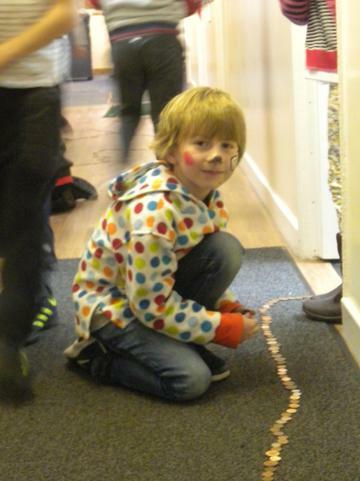 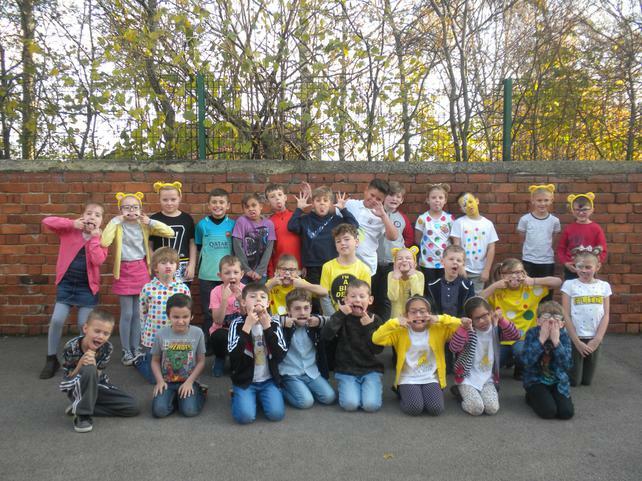 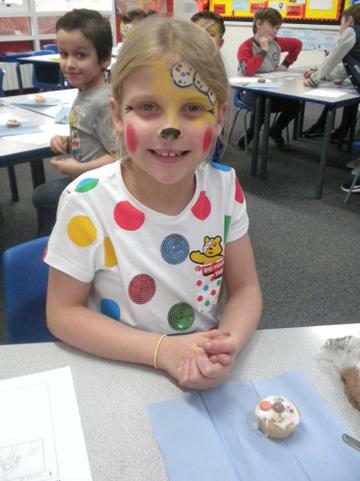 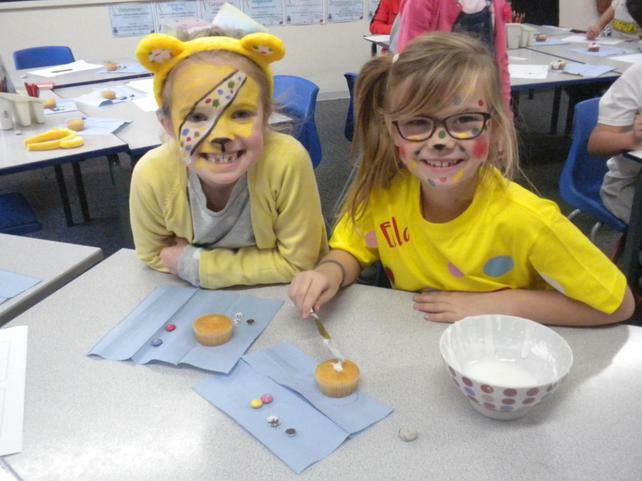 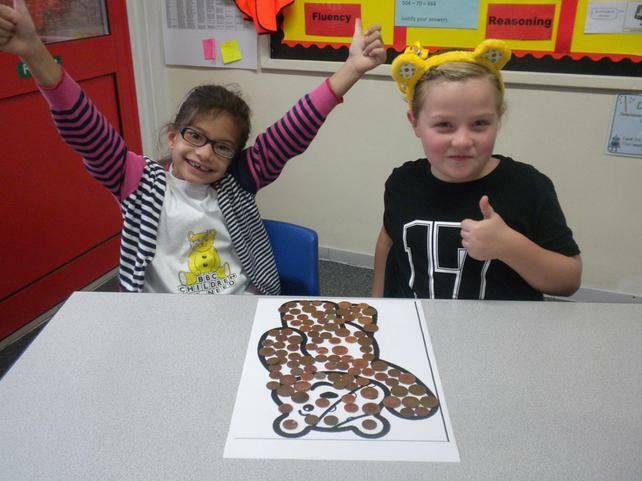 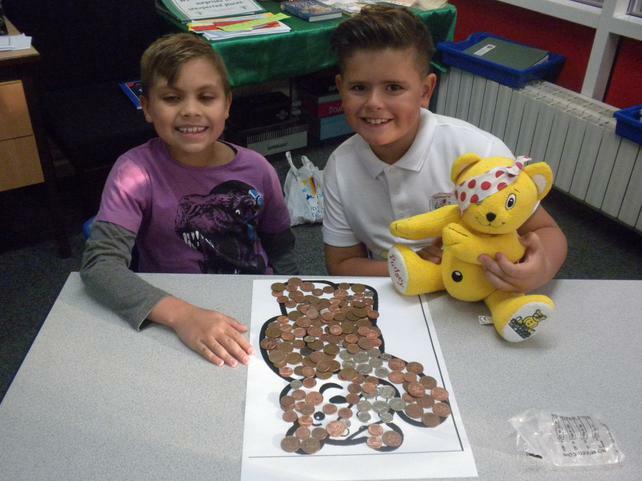 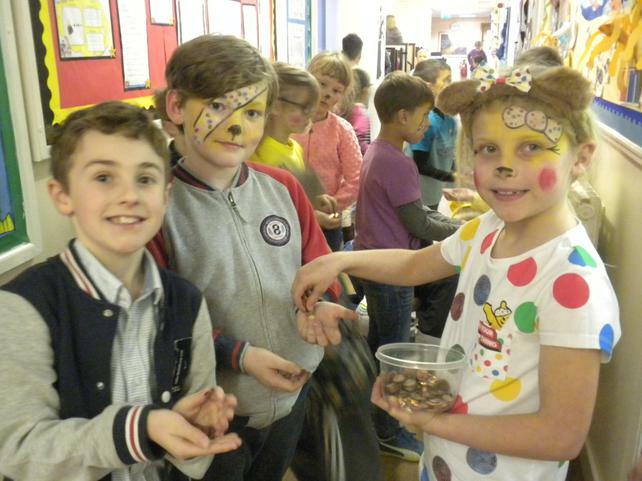 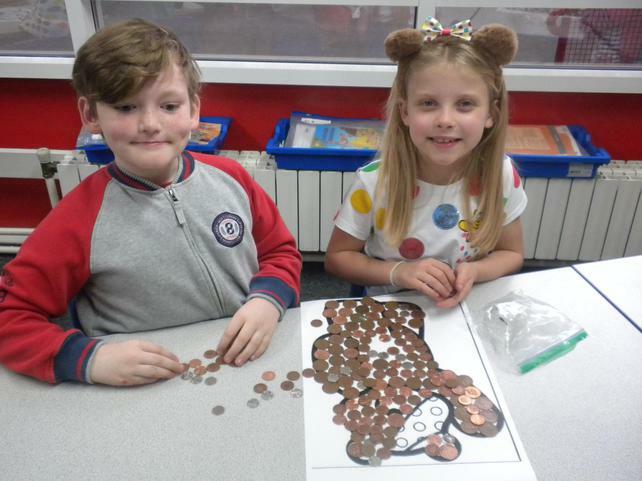 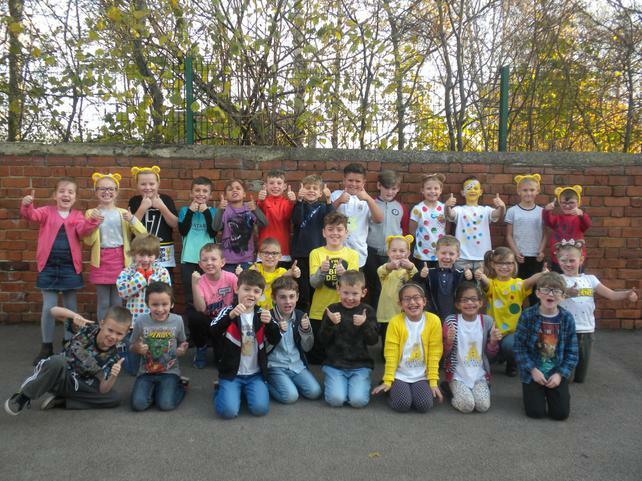 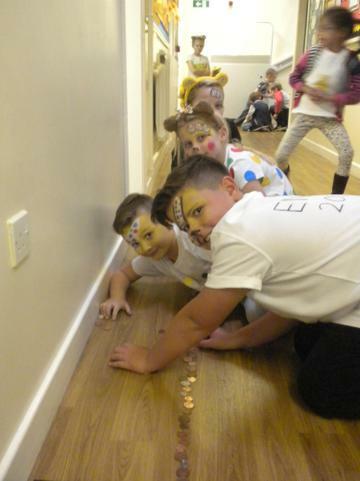 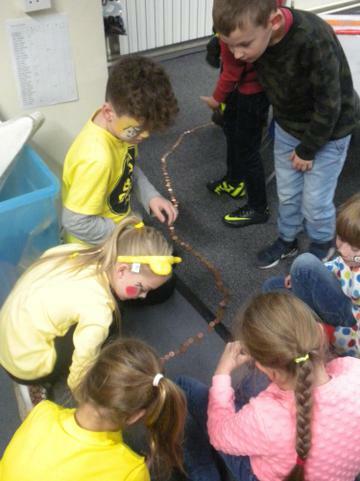 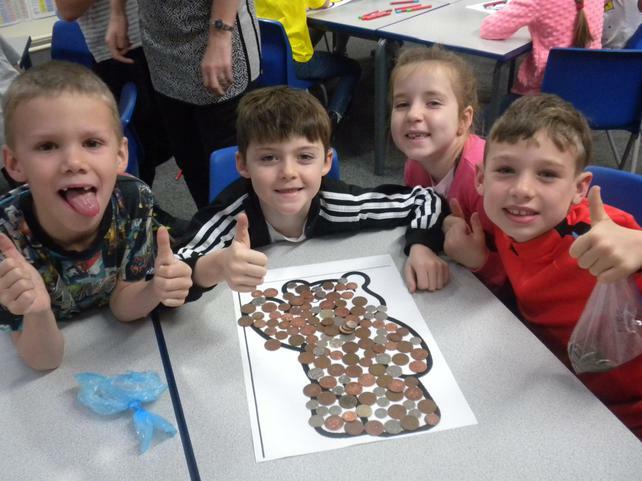 The week ended with Children in Need, the whole school got together to make a coin trail from every classroom to the hall, well done class 3! 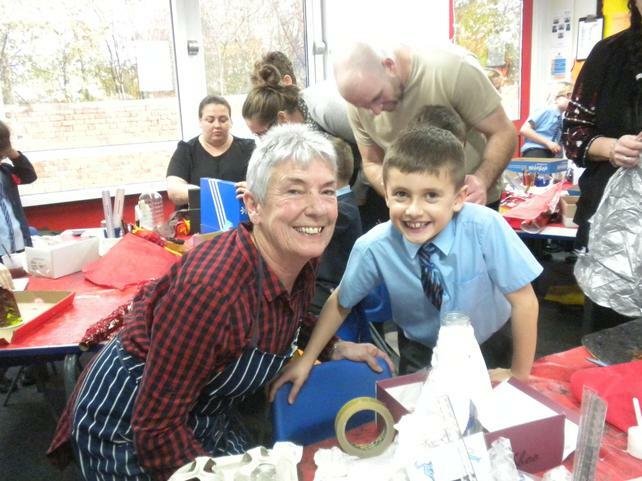 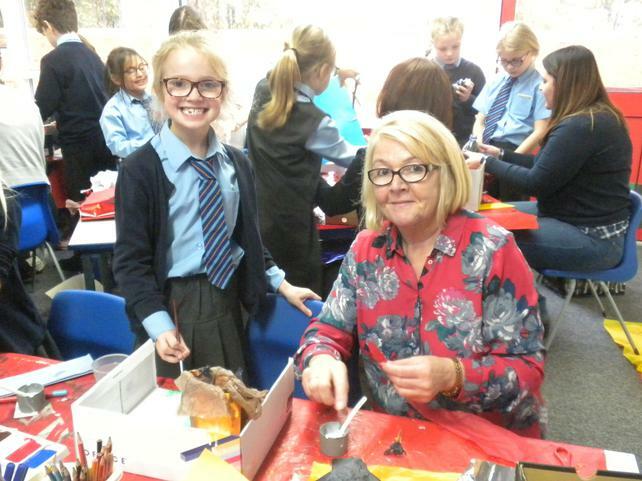 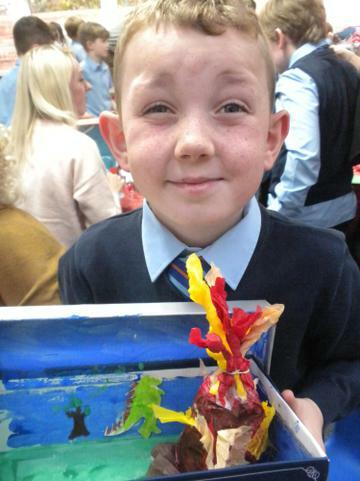 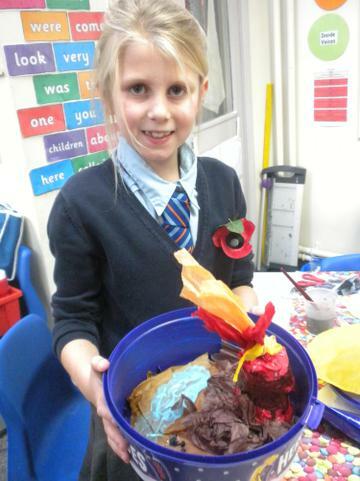 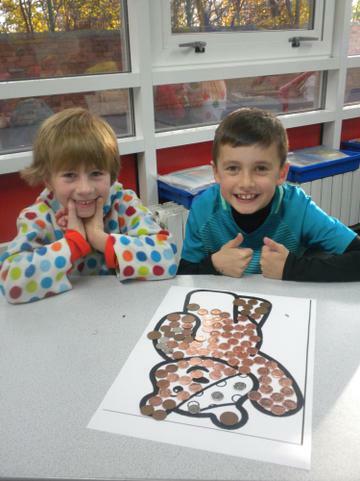 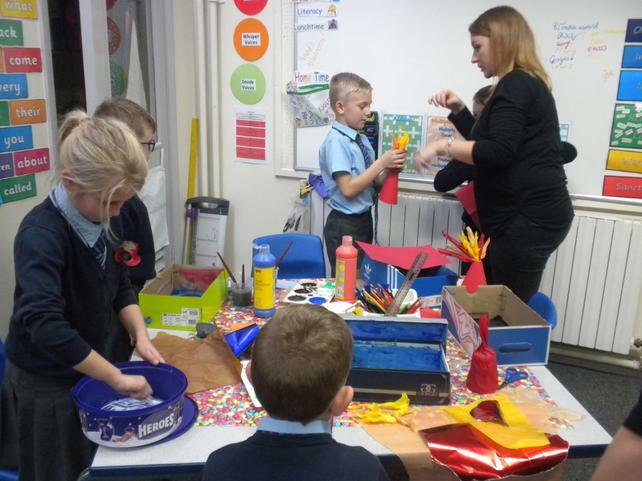 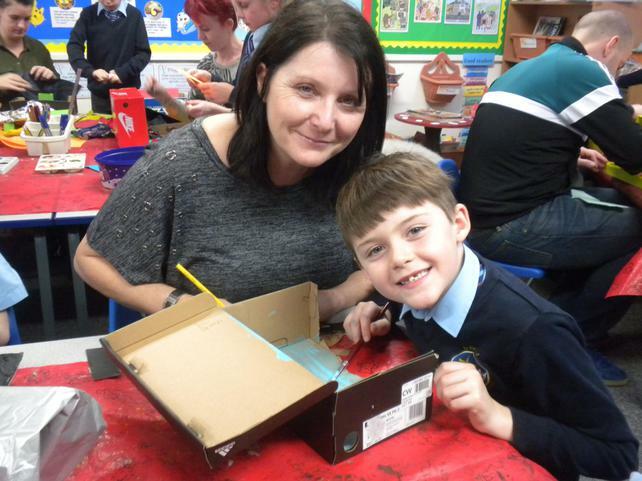 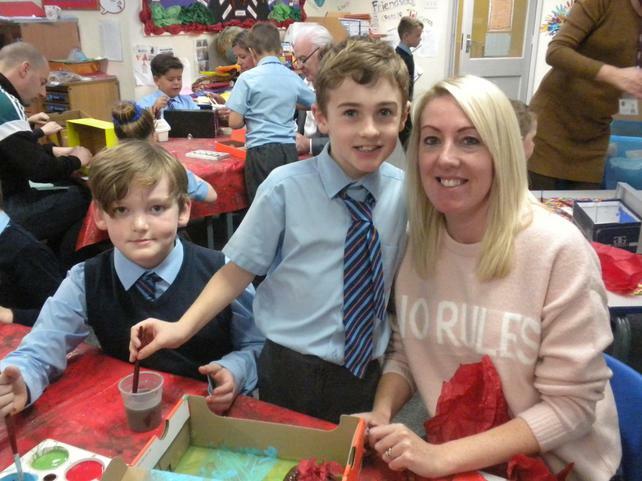 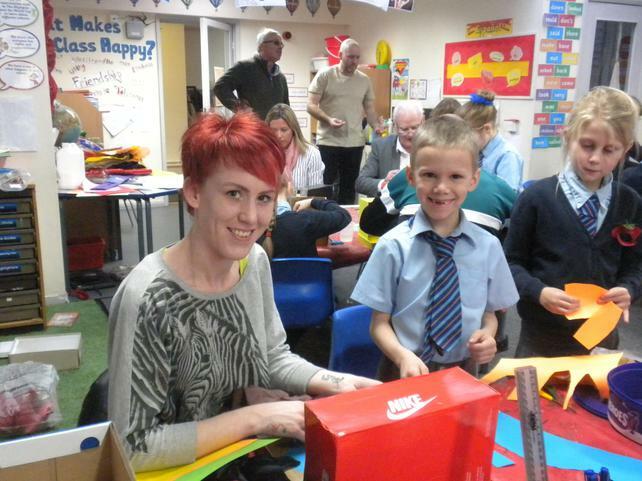 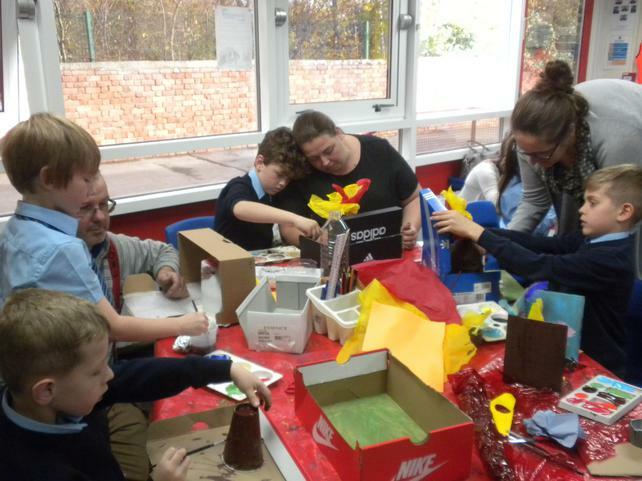 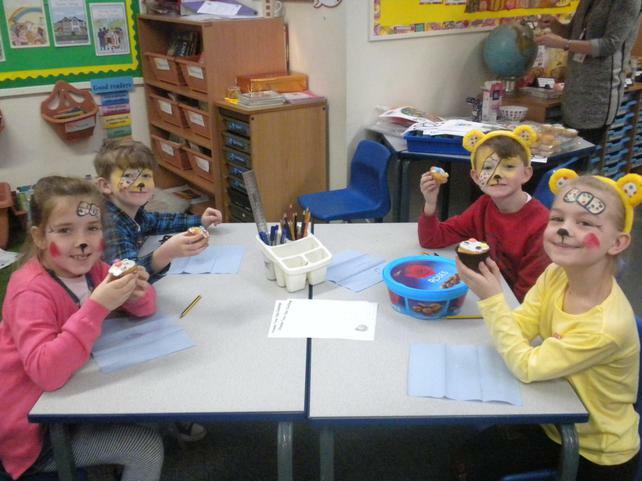 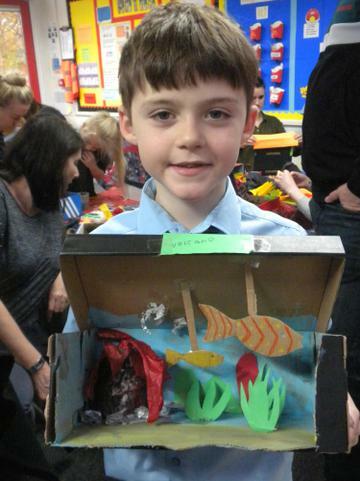 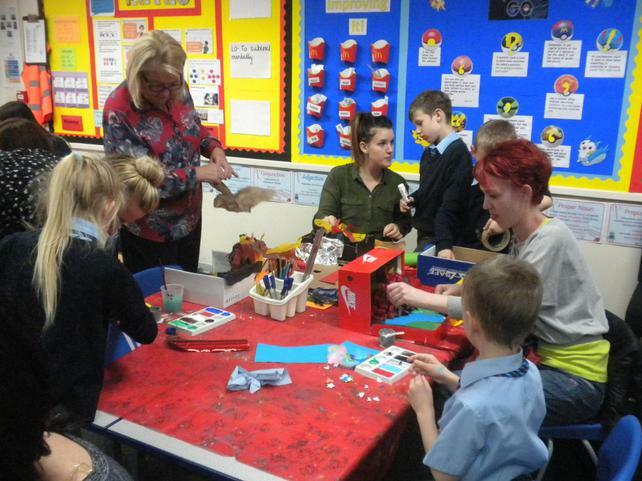 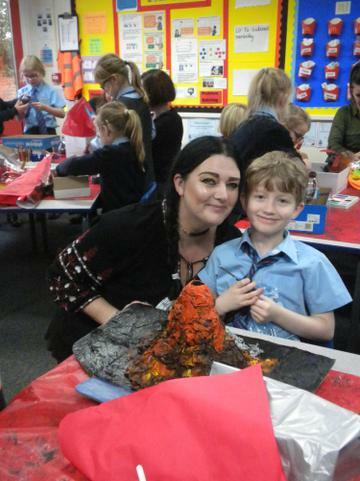 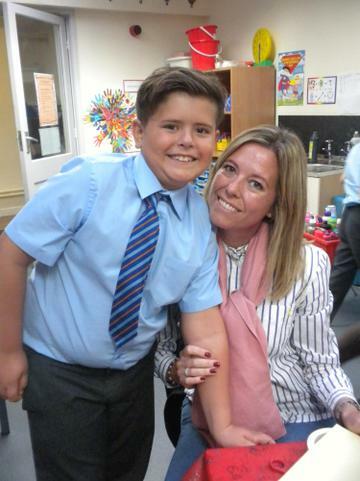 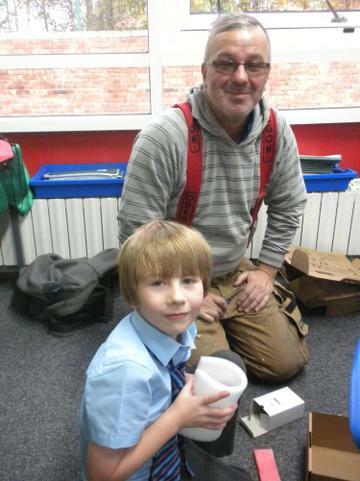 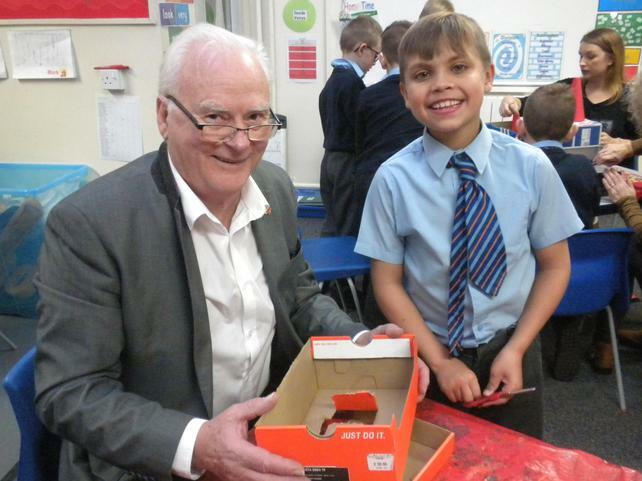 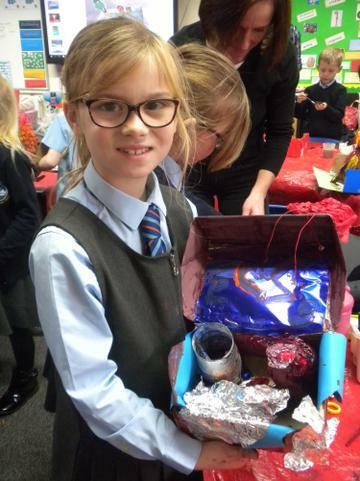 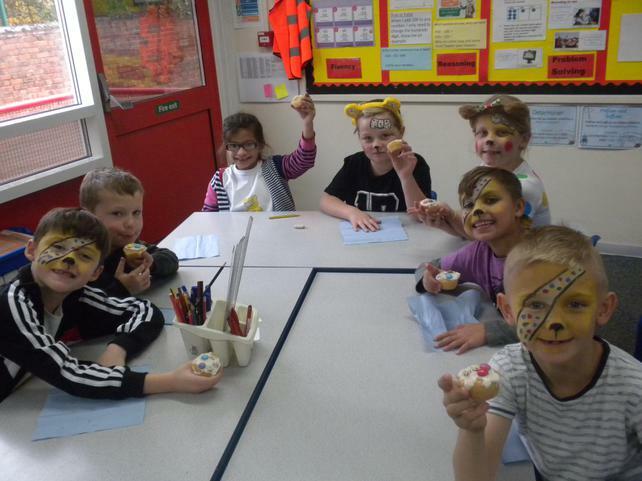 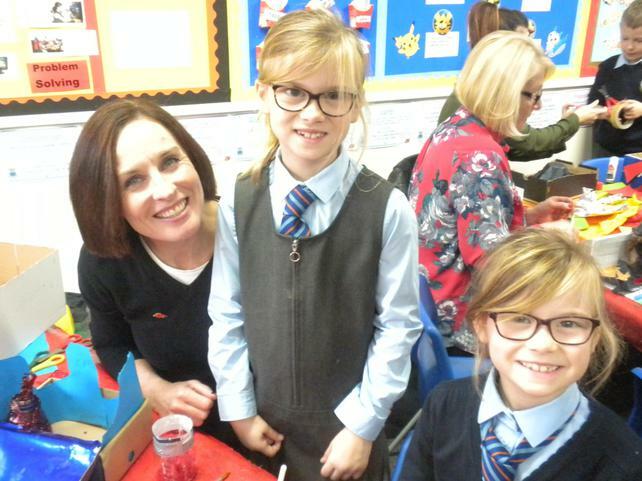 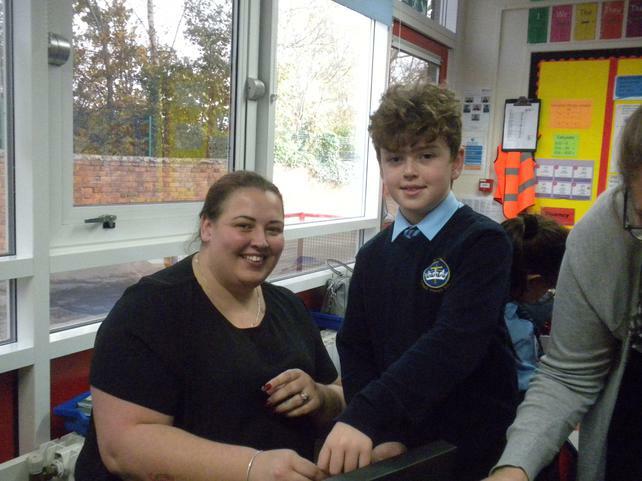 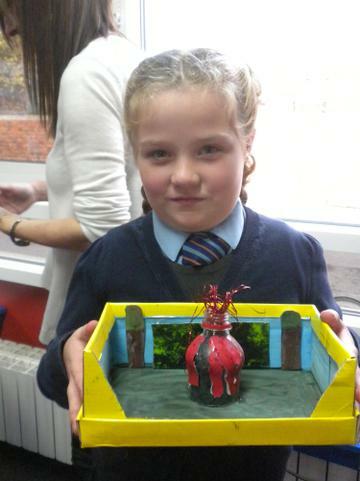 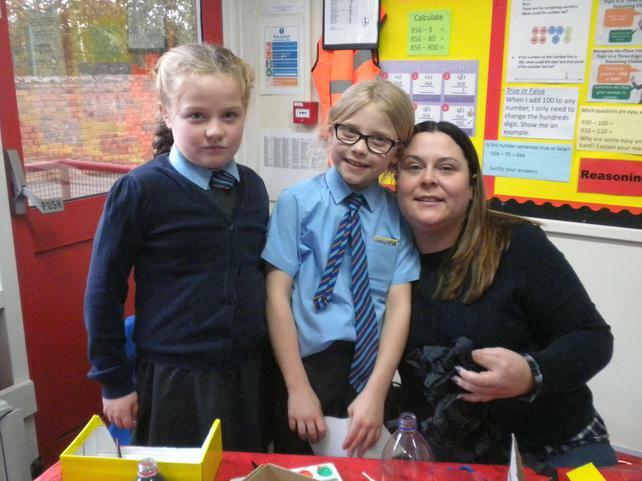 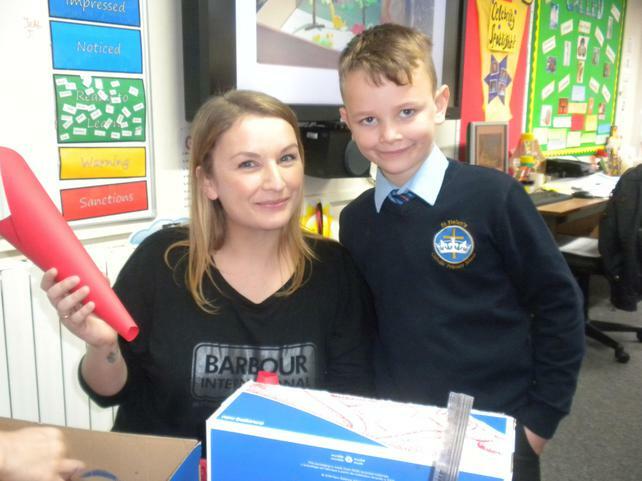 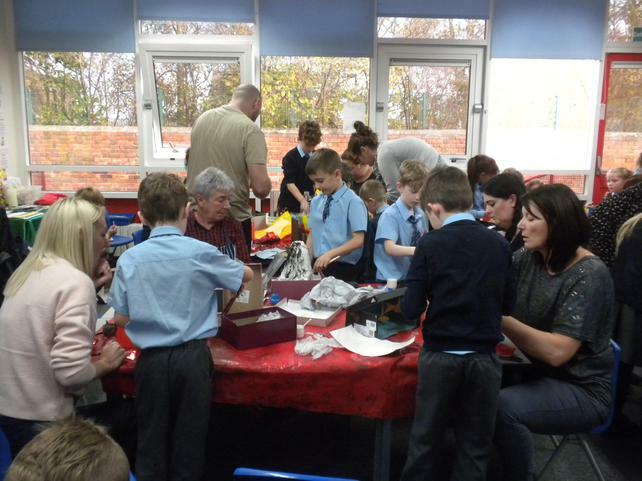 We had a wonderful parents afternoon this week and we produced some amazing work. 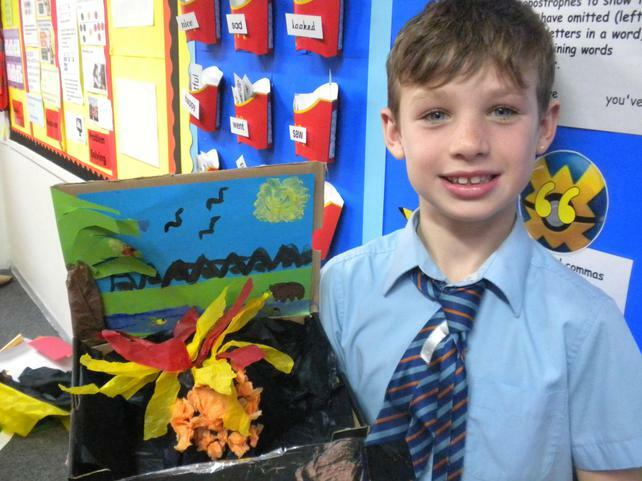 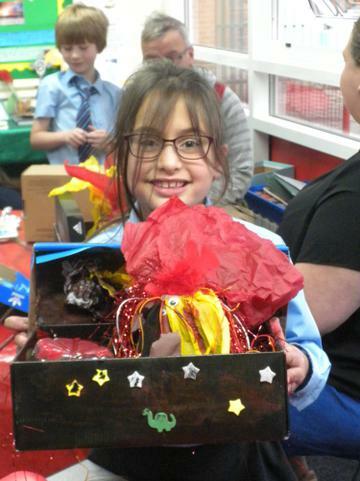 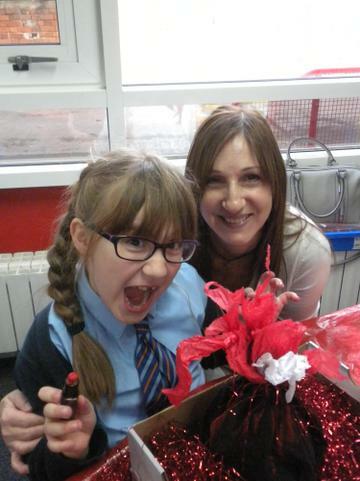 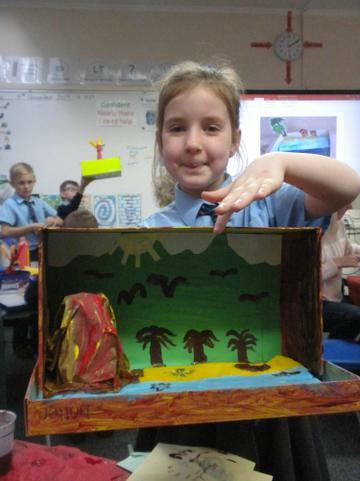 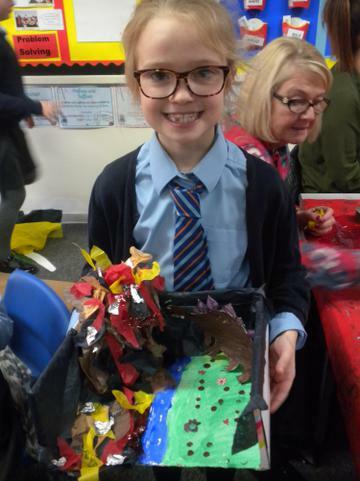 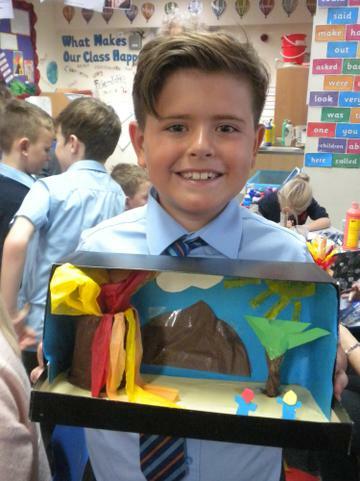 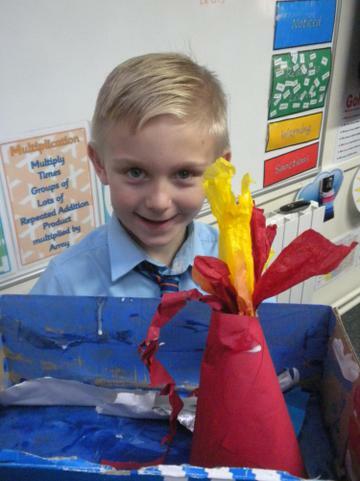 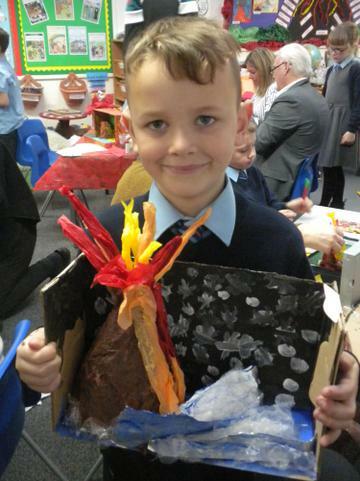 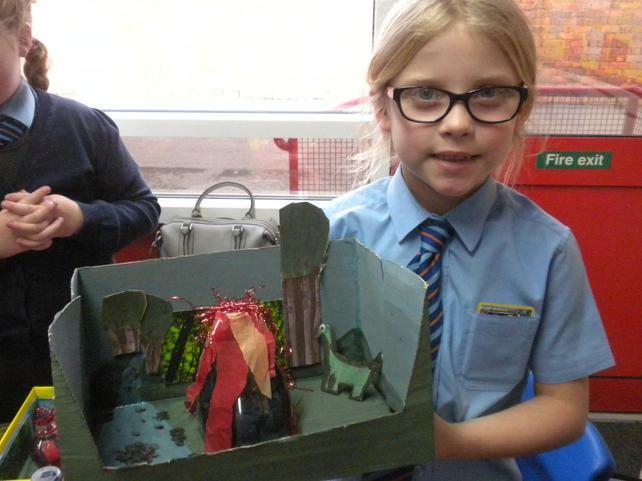 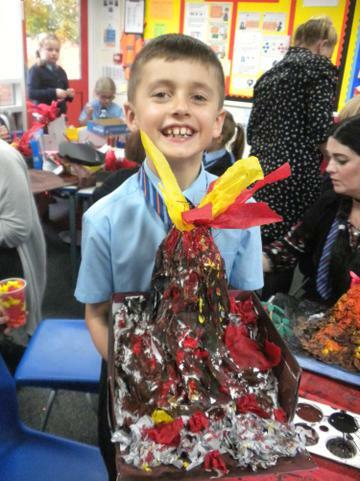 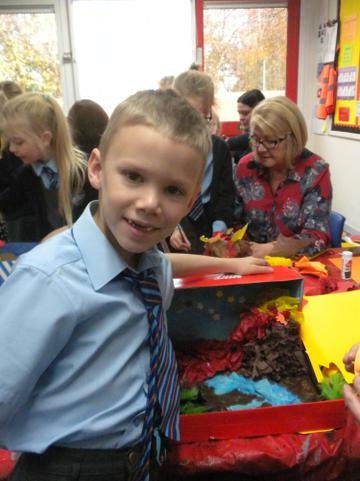 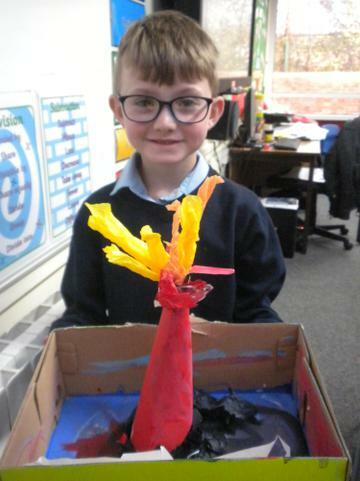 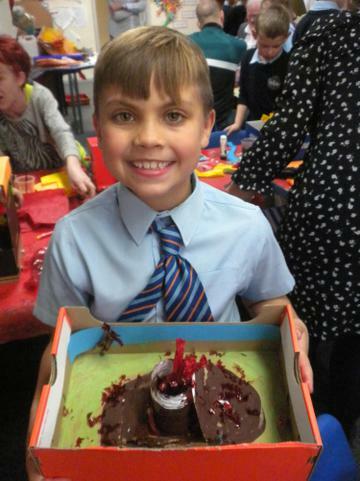 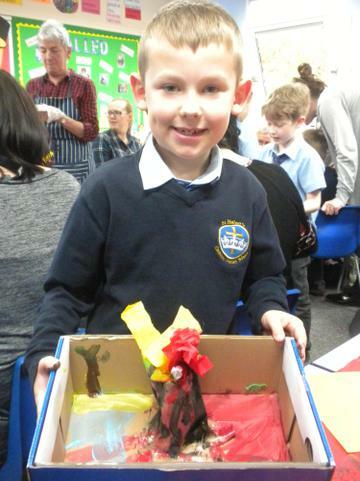 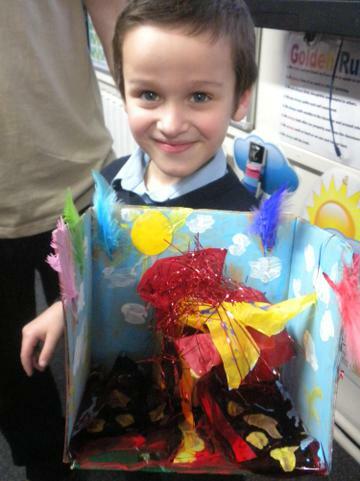 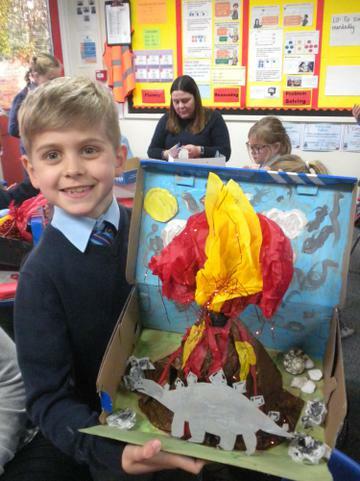 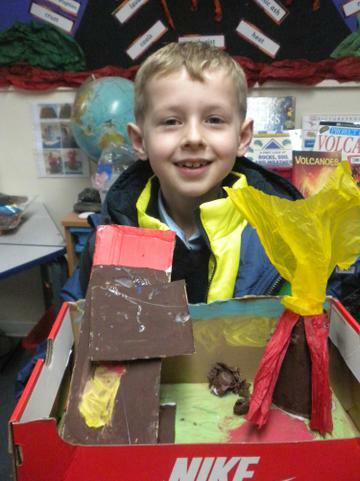 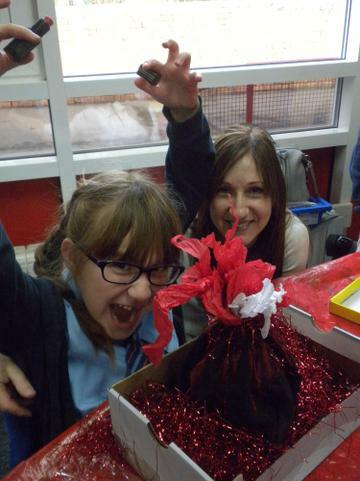 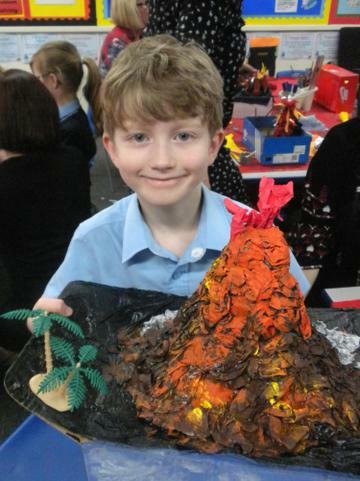 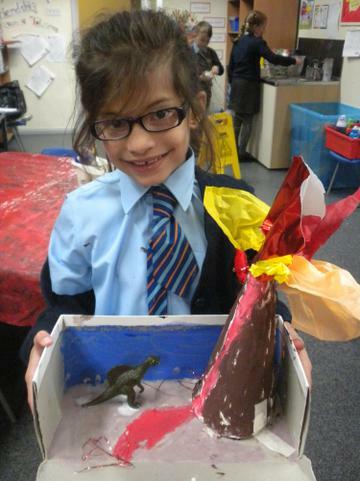 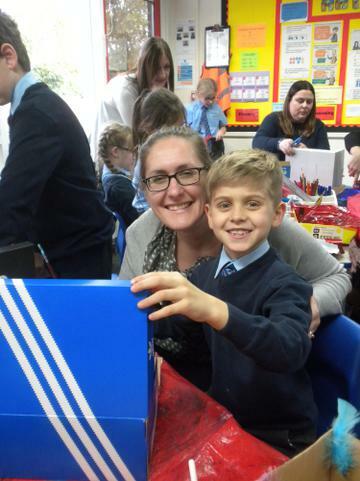 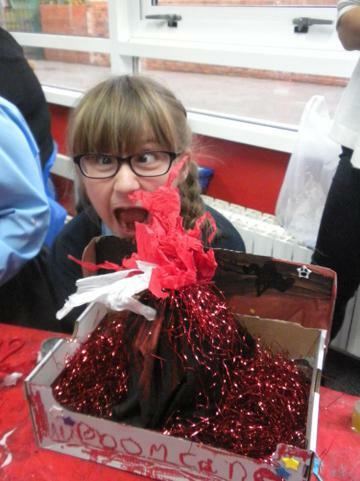 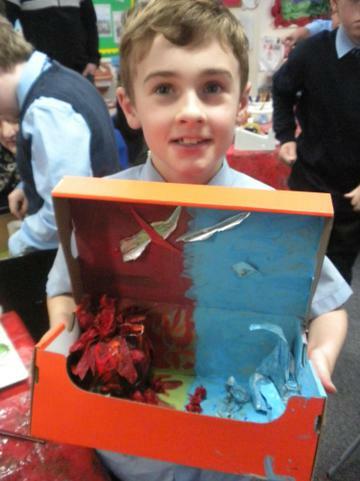 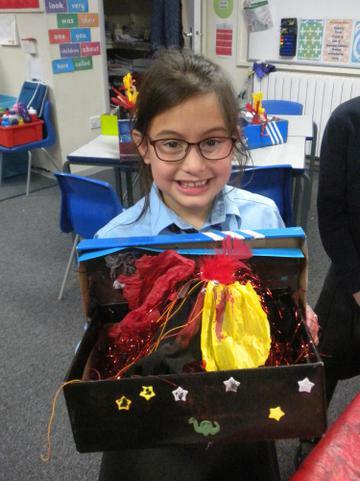 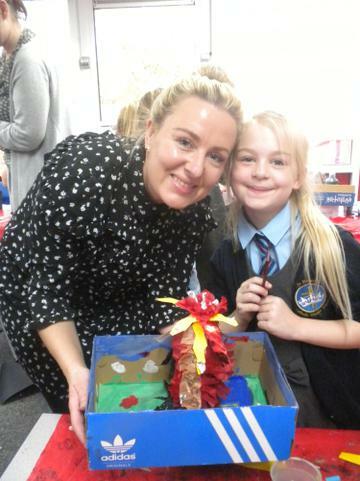 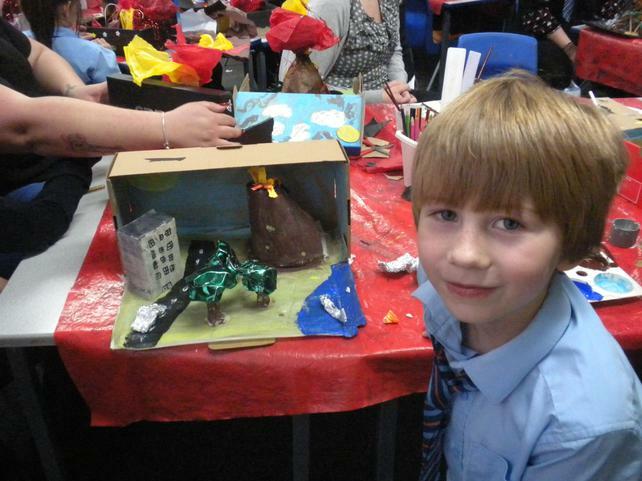 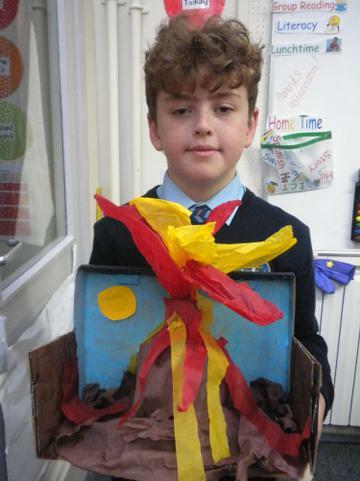 Everyone created a shoe box volcano and they looked fantastic! 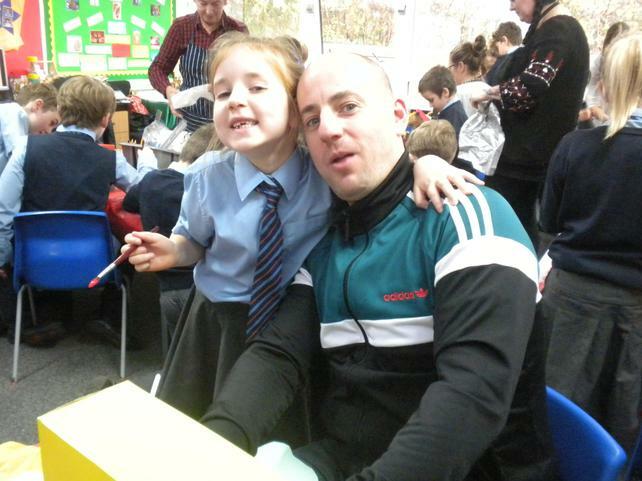 Thank you to all those who were able to make it.